Hello everyone, my name's Adonis "SusBoyD" Angeles. I've been streaming off and on for little over a year now. I've recently accepted a lower paying job to pursue my dream in streaming as well as attending college again. (to get my mom off my back.) My primary interests include reading my manga updates, catching up on anime and playing videogames. a) 19, turning 20 in September! What game types to expect? 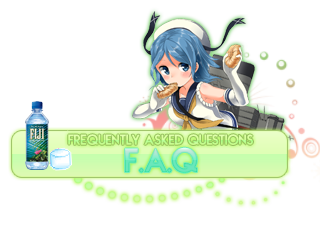 a) Japanese Culture, Anime Related, Catch The Beat Games, MMORPG's, FPS, RPG, MOBAs, Card Games and iOS Games! Why would you name yourself Sus? a) Please refer to my post in Introductions! 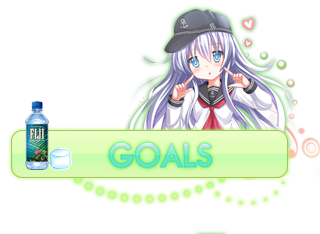 My Goals here will be updated frequently to show how far my stream progresses, and also motivation for me to move forward ! I've been meaning to tell you I can put you in Prinny Squad at this point. I just haven't been able to catch you streaming for a while. I keep missing them or have you just been busy? Nice graphics here though. Did you make those yourself. And isn't that a shipgirl? Maybe I'm wrong. Am I the only one who doesn't understand the fiji water thing... ? @Fermion wrote: Am I the only one who doesn't understand the fiji water thing... ? @WanderingWlf wrote: I've been meaning to tell you I can put you in Prinny Squad at this point. I just haven't been able to catch you streaming for a while. I keep missing them or have you just been busy? Nice graphics here though. Did you make those yourself. And isn't that a shipgirl? Maybe I'm wrong. Oh, well i feel more motivated to stream now LOL. I've been adjusting to the new job and what not, i'm less tired so i'll be streaming a lot more often! I agree with Twi, the graphics are too cute! I'll come by when you're streaming someday! this is my fault I feel so bad for bringing it up I'm so sorry! I support your dedication! I wanted to be out of Silver one day but to be a decent rank in LoL really does require full-time play for a good amount of time. Although you must be warned that not a lot of people like watching LoL so it may be tough to keep up an audience. Hello! 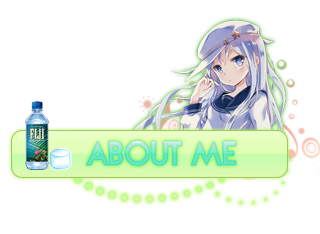 as for an update, if no one has heard.. i will be re-branding! (i'm asking support on hitbox if they can help with a name change for the sake of having matching social links.) BUT besides that, i will be moving to a location where... I CAN TALK AT NIGHT ON STREAM. (no more silly face mask woohoo) beware, i am loud. if anyone's been around for streams where i Do talk. Nice! Hitbox is pretty nice and I think they'd probably help with a name change. Although they might just tell you to make another account.